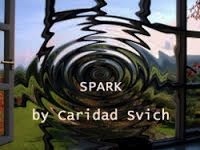 Trap Door Theatre is a proud participant in the international reading scheme for 2012 OBIE Award-winning playwright Caridad Svich’s new play Spark. 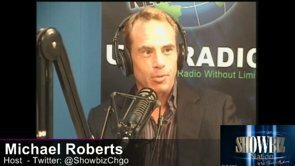 The script-reading scheme has been developed to honor US war veterans, shed light on the plight of female veterans in particular, and to raise increased awareness for their stories by presenting multiple free readings across the United States and abroad during the month of November. Spark focuses on poverty in America, what happens when soldiers come home, and the strength, ultimately, of family. It is the third play in Caridad Svich’s American quartet of plays addressing national issues/global concerns, that include 2012 Edgerton Foundation New Play Award-winning Guapa and The Way of Water. Her other plays include 12 Ophelias,Iphigenia…a rave fable, and The House of the Spirits, based on the novel by Isabel Allende. rector Kate Hendrickson has been bringing radical American plays to Trap Door audiences. Her past productions have won numerous awards including a Jeff award for best new work (Ken Prestininzi’s Beholder). Hendrickson’s 2009 production of Caridad Svich’s 12 Ophelias was called “a visual and sonic feast…that lovers of theatrical spectacle should embrace with heart filled enthusiasm.” (Chicago Free Press) Most recently she collaborated with Playwright Ruth Margraff on Trap’s critically acclaimed, world premiere of Anger/Fly. When: Sunday November 11th at 7pm. What: Trap Door Theatre presents a free reading of Spark by Obie award winner Caridad Svich directed by Kate Hendrickson.